Traditional valuation approaches are increasingly recognised as being insufficient to address the wicked valuation problems of the diverse peoples and groups that inhabit the globe from north, south, east to west. This book demonstrates the limitations of science and, in particular economics, as the foundation on which valuations are traditionally based. It demonstrates the importance of and provides justification for the personal, cultural values and norms which underpin our assessment of "value", and the fact that these vary across the world. 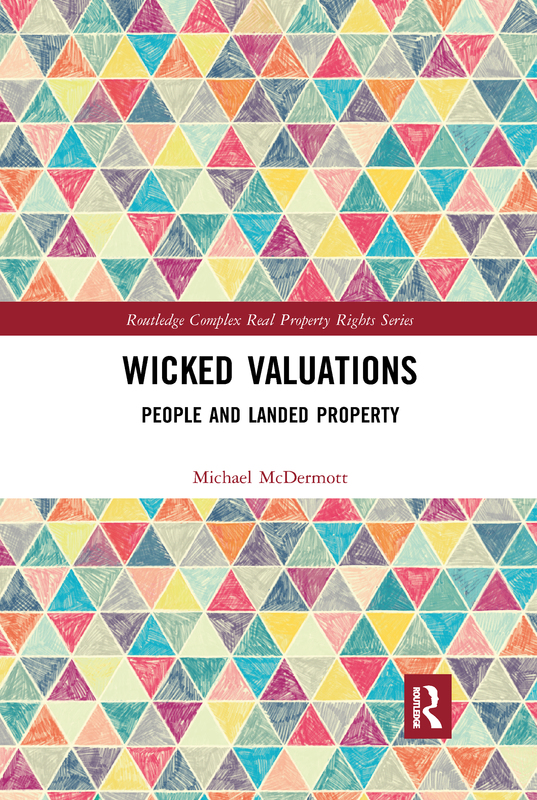 In Wicked Valuations Michael McDermott develops a means of engaging with highly complex valuation problems. His autoethnography provides a lens to draw on knowledge and experience from his 40 years in land valuation in Africa and the Asia-Pacific, while documentary analysis is used to draw in the views of other valuation practitioners and scholars who are becoming increasingly aware of the need to develop ways to adapt land valuation processes to the complexity of our contemporary landscapes.